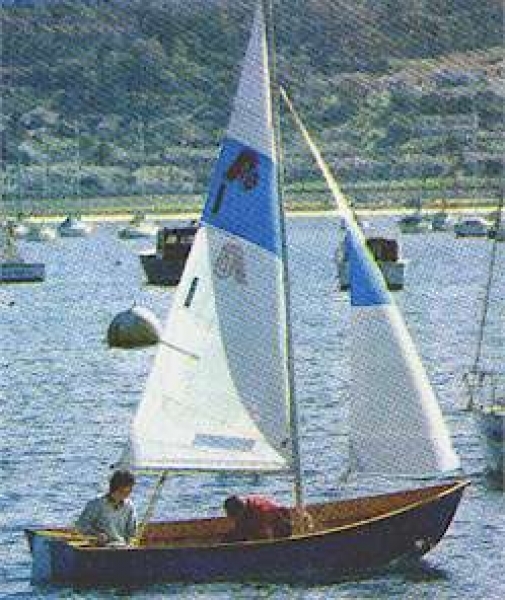 The Argie 10 is a large open 3:1 sailing dinghy, which is large enough to be used a camp-cruiser. It is a bit large for car-topping, so should have a trailer. It is large enough to sail with 3 or 4 people, so is good for teaching sailing at clubs, scout camps etc. Construction is stitch and glue plywood. Hull weight 130lb.